Some machines appear to be rare, scarce, non-existant, but are they? Or are they out there hiding in the bushes? This article is about how elusive some items can be….or perhaps I’m not searching in the correct place for the one specific item I’m after. Husqvarna is a company which is generally associated with chainsaws and motorbikes in the UK, but there’s also some vintage and collectable machinery and lawnmowers. I used to have a Husqvarna mower from the mid 1990’s with a variable drive mechanism powered by a small rubber wheel which unfortunately heated up and disintegrated through time, it certainly could burn rubber but at the expense of not propelling the mower an inch. It’s very soul-destroying having to push a self-propelled mower! Husqvarna 500 mower – the red ones were self-propelled and the blue ones were push models. 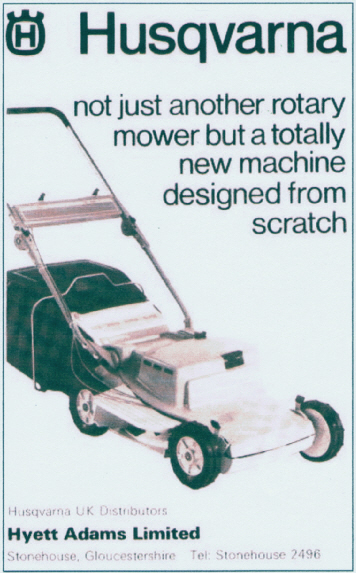 Having had the 1990’s mower with the problematic drive mechanism I was intrigued to read a couple of years back that there had been some earlier Husqvarna mowers launched here in 1972. These were amazing 12-speed, 2-stroke, advanced machines and available in BLUE and RED colour schemes – that colour choice alone just gives them a cool edge and sets then apart from anything else that was on the market. My new and latest research, with specifications further down this article, tells that this was an incredibly advanced mower as mentioned in UK gardening magazines of the time and had a couple of refinements, improved front-wheel drive and a steel rear flap in 1975, also detailed in magazines. 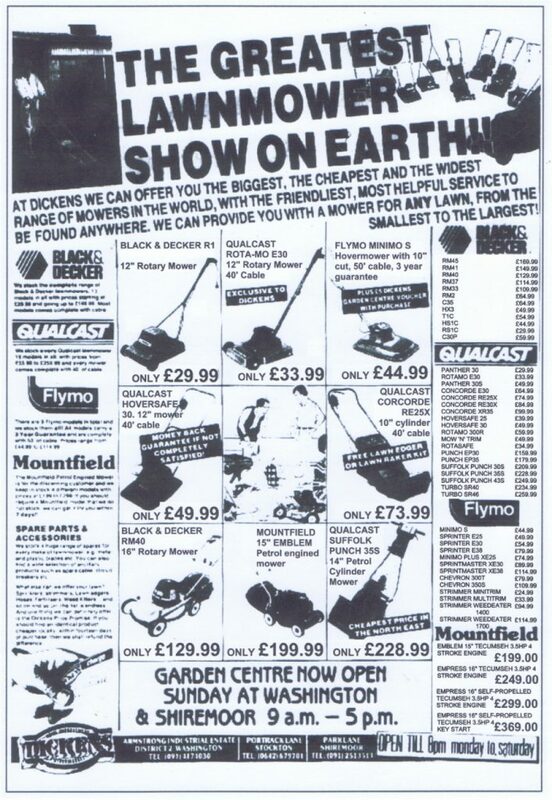 They were out there, they were being advertised in many publications including professional journals, they were exhibited on show stands, but where are these mowers today? They cannot all have vanished after a long life being sold by dealers? 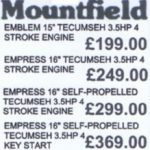 If anyone ever finds one then they’ll get an incredible piece of 40+ year old, modern mower history for probably less than £50 – start searching! After a bit of colour correction the blue model may have looked like this. 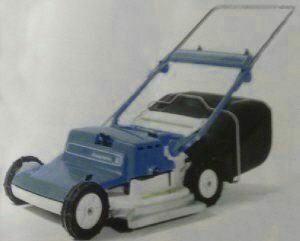 These smooth ABS shelled mowers were available as a push-version, that’s it in the unusual blue and white colour scheme, and in the red scheme was the self-propelled front wheel drive version. The engine is encased and has the pull handle at the middle of the front cover and the mower was advertised as having “clean, almost streamlined styling…the smooth uncluttered lines making it easier to keep the machine clean and smart“. Powered by a 120cc (3.5hp), Swedish-designed, two-stroke engine the mower was described in the brochure as ” Everywhere it has been demonstrated experts have commented on it’s low noise level ‘Environmentally acceptable, agreeable – almost silent’ “. Two-stroke? 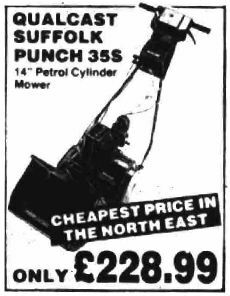 It was also stated in the literature that it was ‘Europe’s rarest power mower‘ which is an odd thing to say when trying to sell a product, however, it turns out they were right and getting on for nearly 50 years later it remains rare, indeed where have they all gone?! Europe seems devoid of them also and I’ve even scoured Swedish auction sites and the nooks and crannies of most European countries online resources. 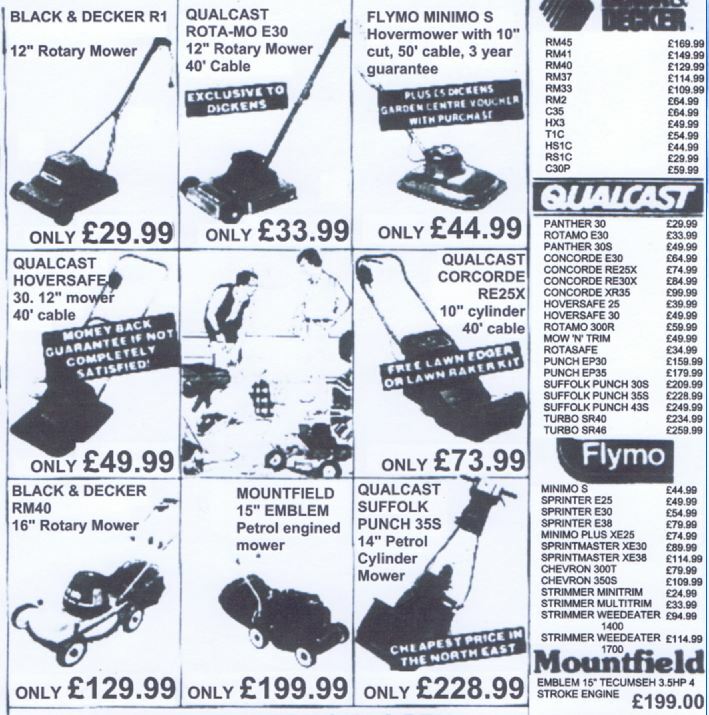 Then, a year after I started looking for this mower I find a magazine advert (image right) with dealers name and address of Hyett Adams in Gloucestershire, which confirms they were sold in the UK and it wasn’t just some magazine hear-say to fill their editorial pages. And the mower turns out to be even better than I originally thought…..finding one for £50 seems more of a bargain than ever…. It could use either it’s side or rear discharge, a system Husqvarna calls ‘Duo-Jet’. It had a low profile for cutting under shrubs and low branches as well as inset wheels so it could cut up to lawn and path edges and was height adjustable from 1″ to 3″. Then, to add to the list it benefited from front-wheel drive which, if anyone has used one, is a brilliant thing to have. The air-cooled engine was Swedish designed and potentially in-house Husqvarna created with a Repco ignition and Gutner carburettor. The two stroke was clever and featured two separate tanks, one for petrol and one for oil. The mixing taking place automatically by a built in pump in the fuel filler cap so that when the tank is refilled with petrol the correct amount of oil is added. 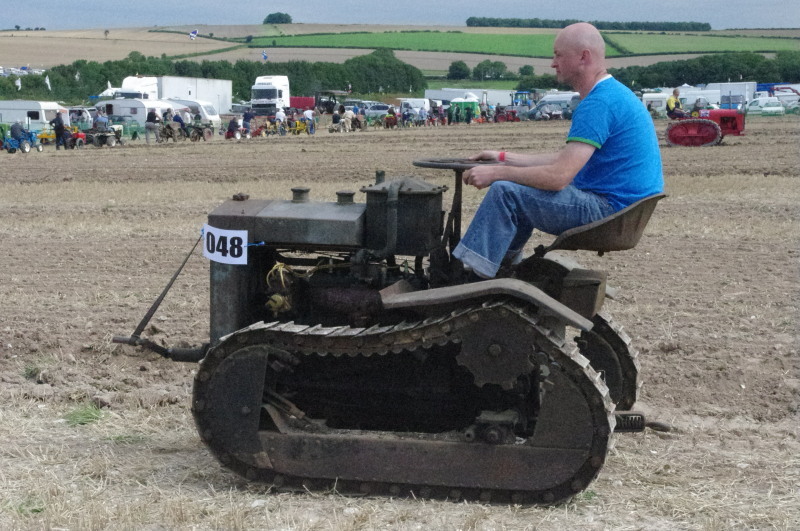 The 12 speed was a ‘variator belt-drive’ allowing variable ground speed up to 6kph whilst the cutting blade maintained maximum speed. So where are they all, not one can I find in existence in red, blue or otherwise. I have a few theories that after years of use then engines may not have been economical to repair; other replacement engines may not have been easy to transplant into that specific body shape; and the ABS body shells are difficult to repair if damaged and certainly do not bend or dent like steel does. Maybe all the mowers reached the end of their useful lives and my search is at an end? Some machines are really elusive and however much searching is done, adverts, drawings, newspaper articles or technical specifications detailed, the machine just refuses to appear. 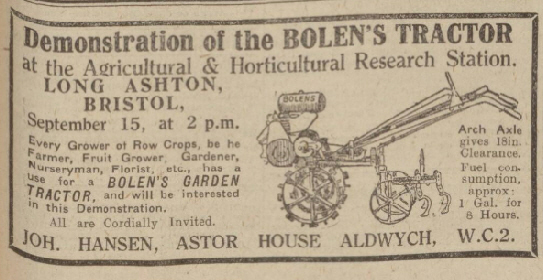 Perhaps then, I’ll shift my focus to another machine and see if I have more luck finding one of the rare, UK demonstrated, walk behind Bolens tractors from 1927.There’s got to be one somewhere on this isle, or are we 92 years too late…? Although this article is about trialing machinery on an Irish golf course, it is also a good example of engine powered machinery and mechanisation taking over from horses. Squint at the image a bit and try to see what is shown….. Being of not the best scanned quality the machinery depicted is at best blurry and indistinct. But as with many images the detail can be deciphered to a degree anyway. 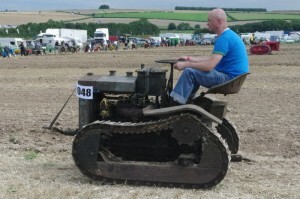 The means of towing the mowers is a Cletrac crawler (similar machine shown right) and the gang mowers are, as we later discovered a set of Ransomes gang mowers. 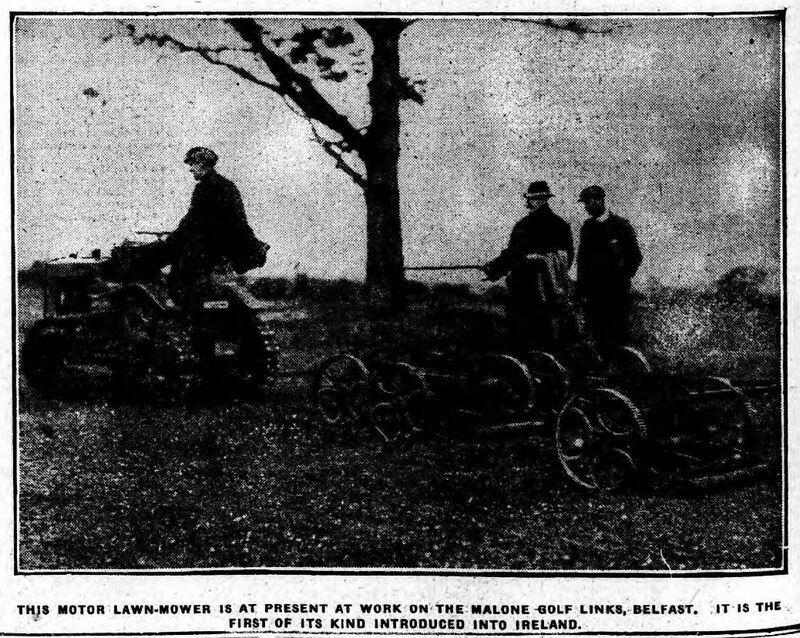 Almost a year later in September 1923 another Irish newspaper printed the following photo shown below with the caption that ‘This motor lawn-mower is at present at work on the Malone Golf Links, Belfast. It is the first of it’s kind introduced into Ireland‘. From that statement we can assume it is the first golf course gang mower that they had, rather than their first mower. Image below. The images at the top of the page show three gangs yet the image above shows more – actually five. The Cletrac model shown would also have been new around the early 1920’s too. 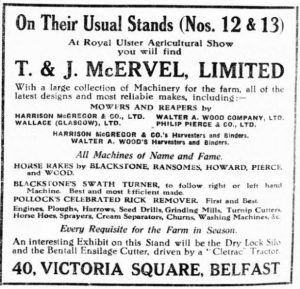 Additionally some text in the 1922 newspaper with the first image tells us about the demonstration of Ransome’s triple mowers at Malone golf links, all arranged by T & J McErvel, Victoria Square, Belfast. Dealers names and addresses are always useful for research. 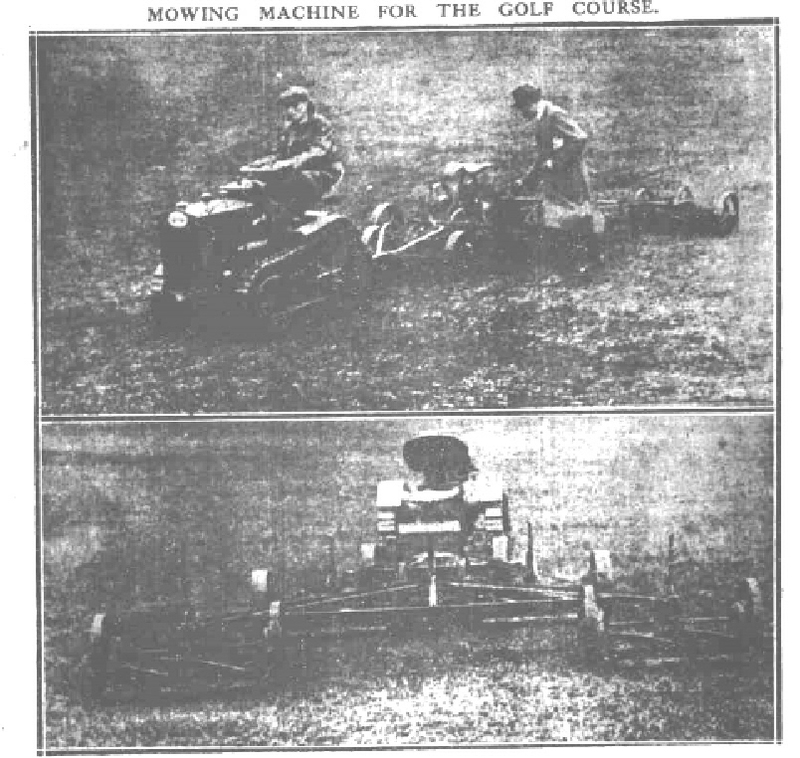 The golf course had been trialing the Ransomes mowers for over twelve months – so they must have started in mid-1921. However the mowers had been drawn by a single horse with the three gang mowers cutting a seven-foot width of grass. They then tried five gangs (shown above) and had to use two light horses or a 17hp Cletrac tractor. The tractor ‘being the caterpillar type‘ does not mark or injure the ground in any way. 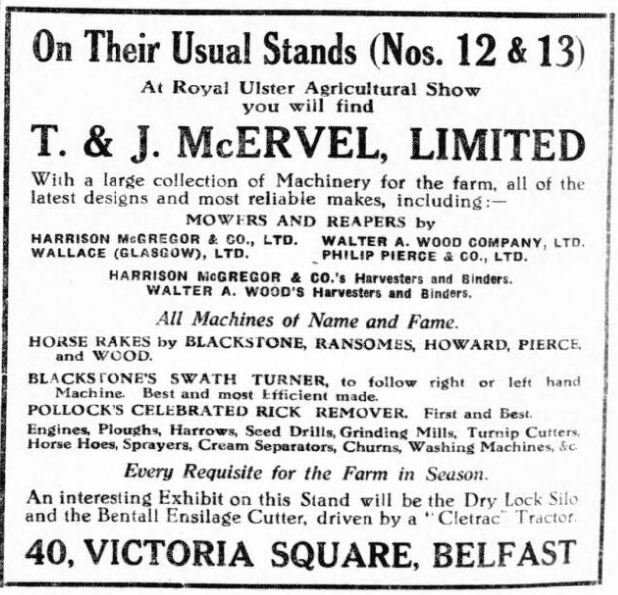 McErvel, Belfast, advert showing that they were agents for Ransomes as well as having a working Cletrac tractor on their stand at the Royal Ulster Agricultural Show, May 1923. Apparently a similar combination had been employed on the Neasden Golf Links near London and they were able to cut an area of eighty acres in four days or twenty acres per day of 7.5 hours each. The cost of the tractor was 2s per hour (so were Cletracs used on several golf courses??) and in comparison with horses there was a saving of £7 per week after allowing for depreciation. It used to take four men and four horses one week to cut the same area of fairways. So here the Cletrac and gangs is starting to use less labour as well as being quicker and cheaper and presumably easier than using horses. Wonder what happened to the horses once the Cletrac and mowers took over? 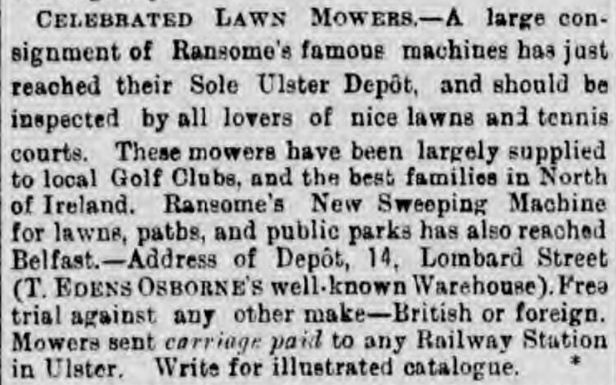 A little more information about Ransomes in Ireland from an 1895 newspaper column (image below) in The Belfast Newsletter reads: “Celebrated Lawn Mowers, – A large consignment of Ransome’s famous machines has just reached their Sole Ulster Depot, and should be inspected by all lovers of nice lawns and tennis courts. These mowers have been largely supplied to local Golf Clubs, and the best families in North of Ireland. Ransome’s New Sweeping Machine for lawns, paths, and the public parks has also reached Belfast. – Address of Depot, 14 Lombard Street (T. EDENS OSBORNE’S well known Warehouse). Free trial against any other make – British or Foreign. Mowers sent carriage paid to any Railway Station in Ulster. Write for illustrated catalogue“.